Google, search engine giant is now working on its next flagship smartphones, likely to be dubbed as Pixel 3 and Pixel 3 XL. The detailed specifications of Pixel 3 XL have appeared on the internet in the form of leaks but the Pixel 3 has been missed from the leaks. 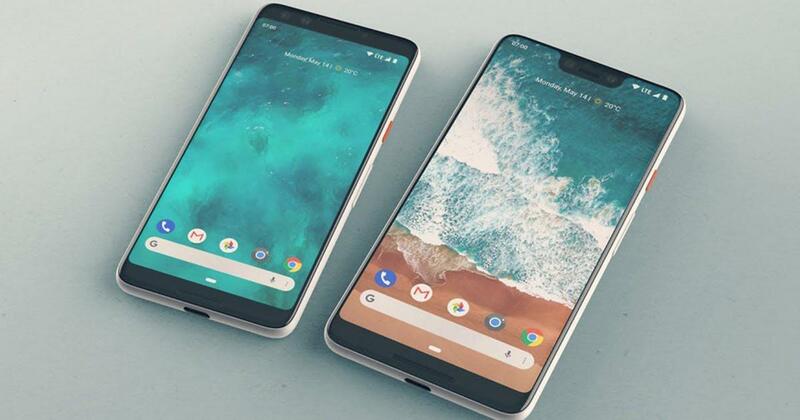 Recently, the live images of the upcoming Pixel smartphones have appeared on the internet which suggest how the smartphone looks like in terms of design. As per the live images, it is anticipated that an alleged Pixel 3 will feature 5.5-inch display but the notch is missing on it which is expected to be available in the Pixel 3 XL. At the rear side, we can see that the dual speakers, glass and metal unibody design, fingerprint sensor are positioned at the centre of the smartphone. According to a post which has been posted by the Reddit user, alleged images of Pixel 3 suggests that the smartphone has now new dual-tone speakers on the rear panel. The smartphone has a shiny design, large length volume and rocker buttons. However, Google's 'G' moniker and fingerprint scanner are positioned on the rear side. The tipster has also posted some of the images of Pixel 3 along with key specifications. The smartphone is said to feature a 5.5-inch screen display with 18:9 aspect ratio and the screen resolution of 1080 x 2160 pixels and rounded curves around the corners. The company has modified its battery capacity from 2,915mAh to 2,700mAh. The Pixel 3 is likely to come with Qualcomm Snapdragon 845 chipset. The previous reports had suggested that the Pixel series of smartphones will come with two cameras on the front panel. As per the leaked reports, it is speculated that the Pixel 3 will have dual 8-megapixel cameras on the front panel with an aperture of f/1.8 and f/2.2 each. Furthermore, it is speculated that the Pixel 3 will be equipped with a variable aperture technology similar to the Samsung Galaxy S9+.